Take a walk on the tile side. 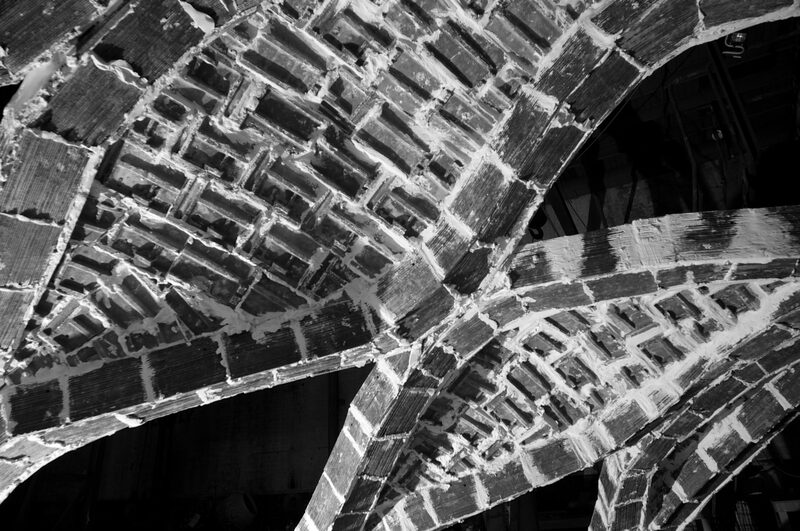 Part research, part studio, an intensive design-build student workshop explored the potential of freeform, ribbed three-dimensional masonry vaulting at the University of Technology, Sydney. This 10-day elective studio for M.Arch. students at UTS was led by Prof. Philippe Block (ETHZ/BRG), Melonie Bayl-Smith (UTS/Bijl Architecture) and senior lecturer David Pigram (UTS/Supermanoeuvre), with industry support from Monier, CSR Roofing, Bijl Architecture, Hanania Quality Tiling Services and Lordell Trading. After an introduction to traditional Catalan vaulting techniques and three-dimensional equilibrium design, the students conducted a series of design iterations using RhinoVAULT, a software plug-in developed by the Block Research Group (BRG) at ETH Zurich. Once a final structural design was developed and agreed upon by the students, the group was then split into teams so as to determine a plan for the hands-on construction research, including the establishment of an efficient formwork system for the complex rib network. Following on from the assembly of the formwork scheme, the tiled ribs were built on the formwork and the vault webs filled in using tiled vaulting techniques. Upon completion the formwork was removed to reveal the robust ribbed vaults of the structure. The resulting prototype pavilion ‘Ribbed Catalan’ demonstrates a unique form for compression shells and presents ways forward for parametric design alongside traditional construction methodologies. The brief and studio structure tested two key assertions: that design/build and material/making studios provide opportunities for expanding design and integration skills in students, and that these studios engender learning that transcends the specifics of the studio brief, including deep peer-to-peer learning, developing investigative intelligence and enhancing students’ appreciation for structure, material and form.